Lori Loughlin has been deposed from her throne at the Hallmark Channel, rap sheets and their schtick being somewhat incongruous. But the very casually costumed show must go on! Hence, the creators of When Calls the Heart are “retooling” the remaining un-aired episodes. 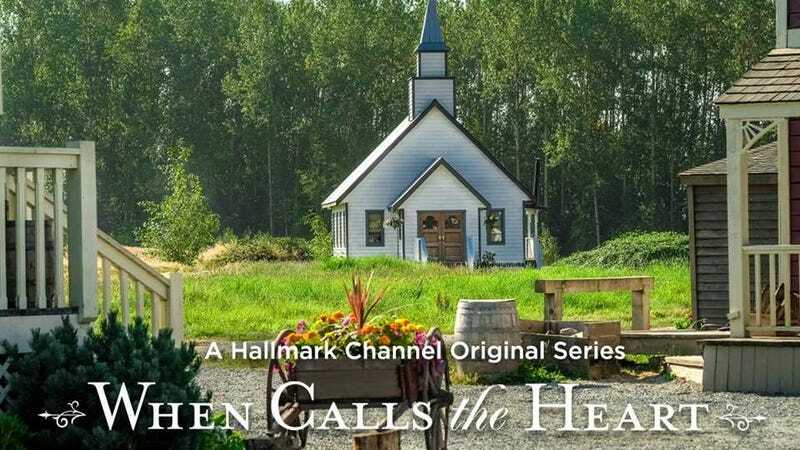 Deadline noted that the season six premiere on February 24 was the channel’s highest rated premiere ever, so this is all very annoying timing for Hallmark—and also, they are not going to let this show die if there is anything they can do to proceed without Loughlin. “Let us reassure you, When Calls the Heart has always been bigger than the sum of its parts, and it HAS NOT BEEN CANCELED,” Bird added in his note. Perhaps in their retooling they might consider revamping their wardrobing budget, so that it looks less like a high school production of Thornton Wilder’s Our Town? Just a thought. Lori Loughlin Is the Hallmark Channel&apos;s Best-Loved Actor, So What Happens Now?